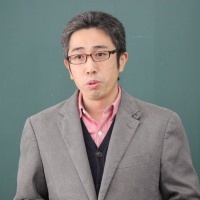 Yuichi Sakamoto is a chief researcher in the Microorganism group of the Iwate Biotechnology Research Center, Japan. He obtained his Ph. D. from the Graduate School of Hokkaidou University in 2001. He contributed to the isolation and enzymatic characterization of glycoside hydrolases belonging to families GH5, GH12, GH16, GH18, GH20, GH30, GH55 and GH128. He discovered GH128 with Naotake Konno . His research currently focuses on various carbohydrate-active enzymes acting on fungal cell walls, especially in lentinan that is a β-1,3-1,6-glucan from Lentinula edodes. Some of these enzymes are involved in fungal morphological changes. This page was last edited on 22 July 2015, at 09:16.